We come to watch skaters hit, jam, and twirl. We come to scream and cheer. But no game would be possible without referees and NSOs (Non-Skating Officials), affectionately known as Team Zebra and Team Flamingo. To get the inside scoop on what it’s like performing these vital roles, I interviewed two of our faithful volunteers: Patsy Grind, Referee and Head NSO, and Gwen Stacy, NSO. What made you decide to become an official? Patsy Grind: I wanted to get involved with roller derby, but the fresh meat program didn’t start for another 6 months. Then someone said that if I was a referee I could start skating right away. I thought I’d switch to being a skater eventually, but I fell in love with the zebra world! Gwen Stacy: My partner was an NSO, I tagged along for a game at Carleton and was pulled into NSOing instantly. I was an NSO for a year, then learned to skate and became a skating official for about a year. Now I’m back to NSOing. What is the most memorable moment you’ve had officiating? Patsy Grind: Officiating at the Beast of the East tournament was incredible. So much great derby. So many great people. It was a massive learning experience. Gwen Stacy: As a skating ref, we did Fresh Meat with people aspiring to become players. This made it challenging because some of the skills they needed to learn included how to hit and be hit. These were things I didn’t particularly need to know but had to do anyways to pass my minimum skills. When the test came along, I had a (former) Vixen as my examiner. When she lined up to hit me I was terrified, but I was able to absorb the hit and not fall down. This was really exciting for me. What are some of the challenges of officiating? Patsy Grind: There is always a new challenge!! Roller derby is lightning fast. Whether you are reffing on skates or you are recording the stats, you have to know your stuff so that you’re ready for anything to happen. Gwen Stacy: It can be challenging to try to teach people how to do certain aspects of the job while trying also to do your own. We don’t have a big group of officials, so we often get ringers in at the last minute who are willing to help but are not trained. It’s also difficult to teach players how to do certain aspects of the job. There is so much paperwork that goes into a game, and it all needs to be done properly for a sanctioned game to count. What are some of the rewards of officiating? Patsy Grind: There is an incredible camaraderie among roller derby officials. It can be a tough job, so you really bond with the people you work with. When you’re working with a great crew that you know has your back, it is so much fun! Gwen Stacy: It’s a good feeling to help out your friends do what they love to do. Without Refs and NSOs, players would just be skating in circles. People to keep track of how long the jams are, keep everyone honest and call penalties, make sure that players serve those penalties, count points earned, and tally up those points…. these (and so many more) are all essential jobs in a derby game. Any words of advice for anyone thinking of joining as an official? Patsy Grind: Come on out and give it a try! 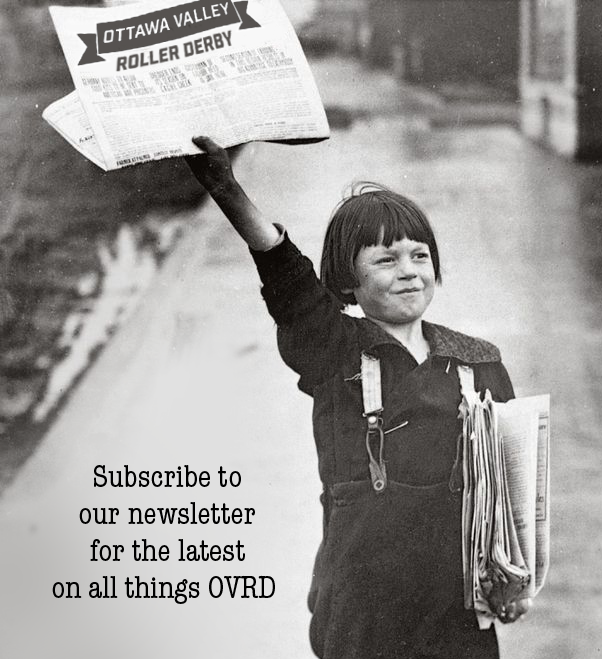 The derby world needs you! Gwen Stacy: My advice is to ask the questions you have before a game. Sometimes there just isn’t time to explain how to notate a star pass on the paperwork. Then again, sometimes you can only learn how things are done by actually doing them. Also, it’s not as hard to NSO as you think, we can teach you, plus the family we have fostered in stripes and flamingo pink is one I wouldn’t trade for the world. Roller derby requires 19 officials to run a game, which, in case you’re counting, is nearly double the players on the track at any given time and 5 more people than any team can legally roster. It takes an army to make a game run smoothly and collect all those stats! Seven of the officials are on-skates: the Back Inside Pack referee, the Front Inside Pack referee, 2 Jammer referees, and 3 Outside pack referees. The Jammer refs tend to be the ones who get all the attention from the crowd because they stick to the jammers like glue, count their points, and call penalties as necessary. The other referees maintain the order of the pack (the other 8 ladies on the track), including defining exactly where that pack is, call penalties, and keeping the game running through things like official reviews or track repair. If you’re still counting, the pack skaters outnumbered pack referees 4 to 3. The separate, yet equally important group (chung-chung!) is the dozen Non-Skating Officials. These are bright, bold few you see scattered around in pink shirts. Half of the jobs occur in duplicate, with one person collecting the information for each team: 2 scorekeepers, 2 line-up trackers, 2 penalty box timers. The other roles are specific and unique: scoreboard operator, penalty tracker, penalty wrangler, inside whiteboard, penalty box manager, and jam timer. If you’re really into math, you’ve realized that more than half of the officials are off-skates. If you are interested in becoming part of our Referee Union, e-mail our referees and NSOs at refs@rideauvalleyrollergirls.com. 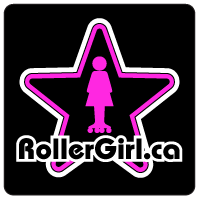 If you are interested in volunteering, contact volunteers@rideauvalleyrollergirls.com. We have a fantastic season coming up – the three home teams have already begun eyeing each other and working on new strategies. Our two All-Star teams are stronger than ever and gearing up for an intense season. You won’t want to miss a game, so be sure to check out our Season Passes, which guarantee you special track-side seating and a free gift every game. Available online at http://www.brownpapertickets.com/event/244232. Individual tickets are also available in advance of every game for only $10 at Monopolatte (640 Somerset) and Rockland Sports (Rockland games only; 3-2865 Laurier, Rockland).